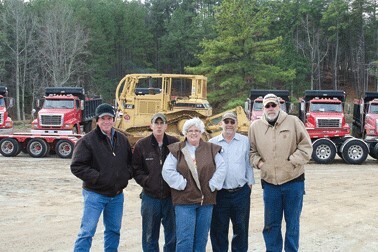 Asphalt Paving Co. of Greensboro, INC, also known as Long's Trucking and Paving, finds it's roots dating back to 1945 when three borthers purchased a used 1935 Ford dump truck and started Long Brothers Trucking. 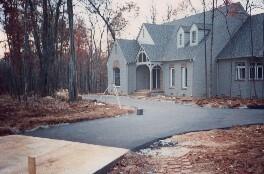 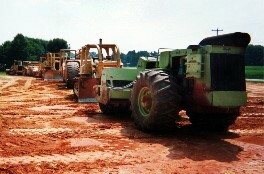 The early years were difficult, but with hard work, perseverance, dedication to customer service, exceptional employees, and God's grace, Asphalt Paving Company of Greensboro, INC. has grown in size from a few trucks and a few pieces of equipment to a thriving trucking and construction company. 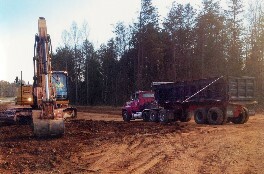 Asphalt Paving Company of Greensboro, INC. is a certified DBE, WBE, and HUB contractor - specializing in dump truck hauling, site grading, and commercial asphalt paving.